If you’re among the thousands standing in line for a new iPhone, you probably have a little time to kill. So this 8 minute video demonstration of the iPhone 6 and 6 Plus cameras might help pass the time. Even better, it will show off the capabilities of the camera you’re very likely to be carrying with you everywhere in the coming months. 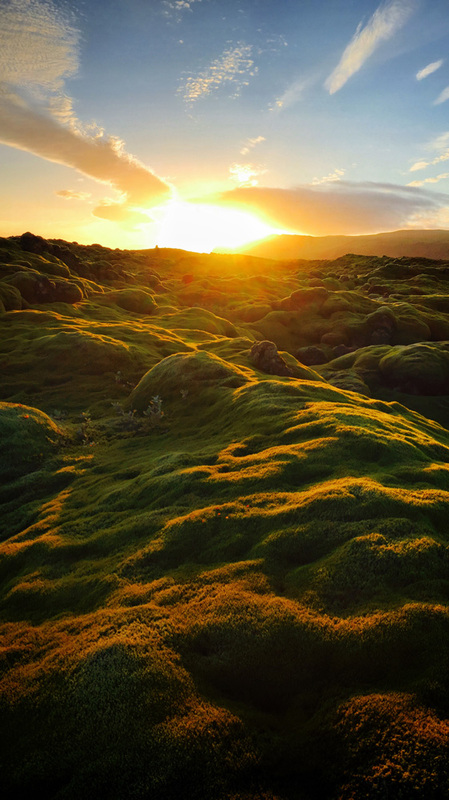 After attending last week’s [company]Apple[/company] event, Austin Mann traveled to Iceland with the pair of new iPhones and used them for both still imagery and video capture. The result? There are arguably better cameras on the market or in other smartphones — I’m looking at you Lumia line — but Mann’s video and stills shows that the updated camera in Apple’s phones is impressive. Aside from excellent results in various lighting situations, the continuous auto-focus video feature worked well and is a welcome addition to the iPhone. The phase-detection auto-focus in general appears extremely fast. I was actually a little disappointed when Apple first mentioned the new iPhone 6 and 6 Plus camera sensor as it was still just an 8 megapixel sensor. But megapixels surely aren’t the only factor in capturing quality images and video. With the faster auto-focus and larger sensor pictures, combined with optical image stabilization on the iPhone 6 Plus, Mann illustrates that for the bulk of consumers, the new cameras are more than capable of stunning photography. Not impressed. Let see what it can do in Times Square at night. Iceland is so impressive visually even on a bad day. I see highlight blow out sorry no comparasion to a DSLR. I was under the impression that the 6 Plus has stabilization that the 6 did not. That’s correct, it has OIS as noted in the article. Great article. The video is awesome. I can’t wait to try it out myself. The demo video is fantastic, worth every Krona Apple spent to make it. But the article doesn’t match the video. The “8-minute video demonstration of the iPhone 6 and iPhone 6 Plus cameras” described in the text turns out to be a comparison of the video output of the iPhone 5 S and iPhone 6 Plus. Interesting, but not the kind of help I was expecting in deciding between the iPhone 6 and iPhone 6 Plus. The camera in the iPhone 6 and 6 Plus are identical save for the OIS in the latter. There’s nothing else to compare between the two. Informative article, thank you! I find that it’s the LOW LIGHT conditions which kill most cell phone camera photos. It’s very easy to make a great picture when you have the sun glaring at you! (After all, it’s the largest lamp in our solar system.) Contrast that with taking your cell phone camera inside to (no flash) photograph your food dish at a low lit restaurant. Usually your picture will be jittery. What I’d like to see is cell phone camera with innovations for how it’s used, like a restaurant or party or shooting video. Nowadays, these requirements are not the same as using a dedicated still camera. 8 megapixels isnâ€™t giving us any resolution inflation. You have to remember that as consumer devices, not much is to be gained with additional resolution. Plenty of people already are having trouble with upgrades on 16GB iPhones. Photos only compound this problem. Iâ€™d like to see 12-14 since I shoot square anyway. Hasselblads are in my blood. But, most consumers, and half the pro-sumers arenâ€™t going to complain about the resolution as much as the dynamic range.